And his money still wastes till he starves or he begs. But scarce reads his Bible, and never loves thinking. I found this poem and I thought it was too beautiful not to share. Johnathan Edwards was a great Christian man. 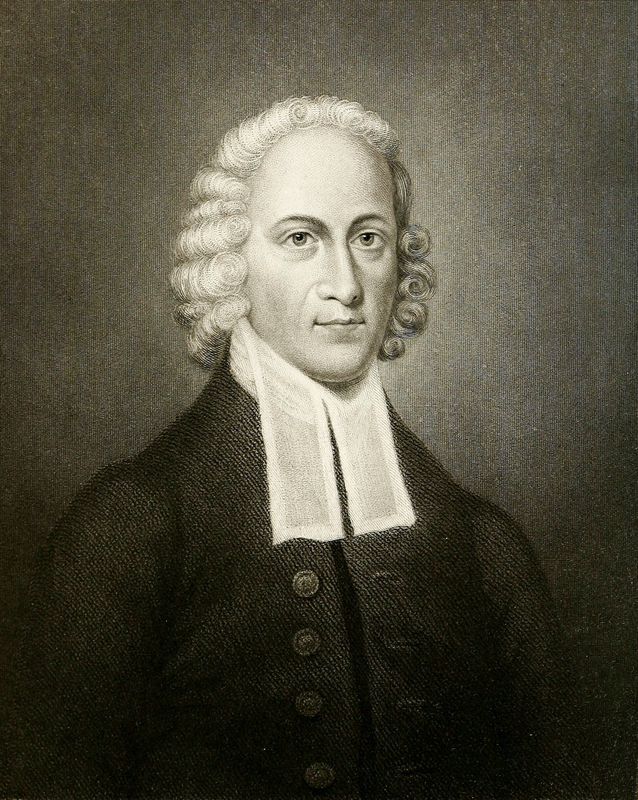 Not only was he a pastor, writer, theologian, and leader in the first Great Awakening of America, but he fathered 11 children. He “is widely acknowledged to be America’s most important and original philosophical theologian,” and one of America’s greatest intellectuals. These are the resolutions that he made. 32. Resolved, to be strictly and firmly faithful to my trust, that that, in Prov. 20:6, “A faithful man who can find?” may not be partly fulfilled in me. 43. Resolved, never, henceforward, till I die, to act as if I were any way my own, but entirely and altogether God’s; agreeable to what is to be found in Saturday, January 12. Jan.12, 1723. 47. Resolved, to endeavor, to my utmost, to deny whatever is not most agreeable to a good, and universally sweet and benevolent, quiet, peaceable, contented and easy, compassionate and generous, humble and meek, submissive and obliging, diligent and industrious, charitable and even, patient, moderate, forgiving and sincere temper; and to do at all times, what such a temper would lead me to; and to examine strictly, at the end of every week, whether I have done so. Sabbath morning. May 5,1723. 62. Resolved, never to do anything but duty, and then according to Eph. 6:6-8, to do it willingly and cheerfully as unto the Lord, and not to man: “knowing that whatever good thing any man doth, the same shall he receive of the Lord.” June 25 and July 13, 1723. 64. Resolved, when I find those “groanings which cannot be uttered” (Rom. 8:26), of which the Apostle speaks, and those “breakings of soul for the longing it hath,” of which the Psalmist speaks, Psalm 119:20, that I will promote them to the utmost of my power, and that I will not be weary of earnestly endeavoring to vent my desires, nor of the repetitions of such earnestness. July 23, and August 10, 1723. 65. Resolved, very much to exercise myself in this, all my life long, viz. with the greatest openness, of which I am capable of, to declare my ways to God, and lay open my soul to him: all my sins, temptations, difficulties, sorrows, fears, hopes, desires, and every thing, and every circumstance; according to Dr. Manton’s 27th Sermon on Psalm 119. July 26, and Aug.10 1723. 70. Let there be something of benevolence, in all that I speak. Aug. 17, 1723. Well said, well done, and I wish more in America would speak out like you have done! My Dad was interviewed on a radio show hosted by Ernest Hancock. As part of school, Mom and Dad decided to have us entering writing contests and then post them here. That way we will *hopefully* be posting more deep and well thought out things than music and funny pictures in the future. This was my first poem admission to AFHE’s ‘Why I like Homeschool’. It didn’t win, but I have the satisfaction of giving my best. Critiques are welcome. *WARNING* I’m a homeschooler, a capitalist, a Christian, a stay-at-home daughter, a Calvinist, a reformist, a re-constructionist, and I believe in the Biblical patriarchy. My poem will be tinted as such. Covered in a mass of lies. Though the deception glazes their eyes. as they march the extra mile. What the ones on high want said. With the devil leading at their head. That we were monkeys in our youth. Christianity was empty, religion; vile. To look to the State. Just stack the next crate. Though it was already outdated. And we shall ride side-by-side. With confidence in our every stride. Welcome, welcome, welcome to the third annual soundtrack giveaway here at the Ink Slinger blog. I am your host, Caesar Flickerman, and this year our contestants will be fighting to the death for a chance to win one of the best soundtracks of 2012. Devout Christian, privately educated, lover of books, and a sesquipedalian. I love the smell of coffee in the morning. Enter your email address to follow this blog and receive notifications of new posts by email. Come on, you know you want to. Ligonier Ministries Blog The writings of R. C. Sproul Jr. The Ink Slinger Just that.